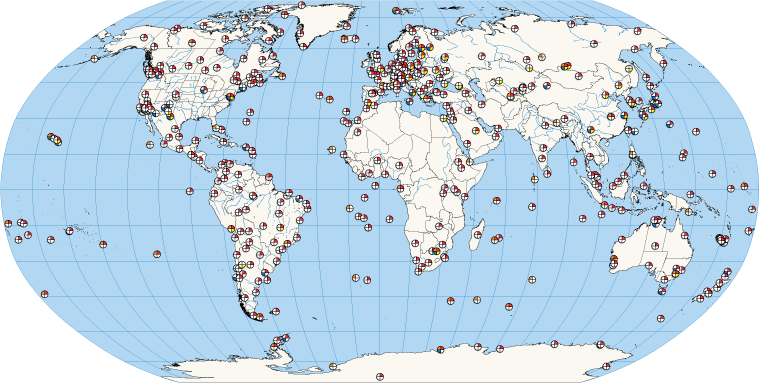 The CDDIS supports the International GNSS Service Real-Time Service (IGS RTS) and, in accordance with all data providers supporting the IGS RTS, the CDDIS will begin updating data and product streams, lengthening names from 5 to 10 characters, reflecting their RINEX V3 observation file name. For example, stream name ALBH0 will become ALBH00CAN0. The CDDIS will be updating stream names throughout this year (2019) and will continue to offer both long and short name stream versions, where available, until the end of this calendar year (December 31, 2019). Starting January 1, 2020 all real-time data and product streams offered at CDDIS will be 10 characters. Streaming should not be affected and all changes should go unnoticed to end users. After the streams are modified, users should only notice the name of the stream has been updated from 5 to 10 characters. Please contact cddis-help-ntrip@lists.nasa.gov with questions. On March 06, 2019, the CDDIS updated the DORIS RINEX summary files. Originally, the DORIS RINEX summary files contained only the header information. With this update, the summary files now include station-specific information similar to the multiday files: satellite, station, start datetime, end time, and the number of observations. On Tuesday, March 12, CDDIS will be upgrading its GNSS real-time infrastructure which includes the Ntrip Caster access. The systems will be down from 1400 – 1600 EDT, 1800 - 2000 UTC. After the switch to the new system, the system will no longer restrict your access to your requested list of streams. You will be able to access any stream, up to the number of streams you previously requested (i.e., 1, 5, 25, or 50 streams). Your access to the CDDIS caster will not change. You will continue to use your Earthdata username/password combination. If you need to change your password or forgot your userid or password please go to https://urs.earthdata.nasa.gov/ and follow the instructions. After 1600 EDT, 2000 UTC, if you cannot access the caster, please send an email to cddis-help-ntrip@lists.nasa.gov and we will help you.! The workshop will be sponsored by the DLR in Stuttgart, Germany. The program committee is actively working on the defining the theme and session topics for the workshop while the local organizers are planning the workshop logistics. The first circular for the workshop will be issued in the very near future. We hope you will consider attending the workshop! Archive Explorer Tool Search the CDDIS data archive for SLR, DORIS, or GNSS data. Site Log Viewer Tool Browse SLR, DORIS, or GNSS site logs by site or across the network. Site Selection Tool Search and discover CDDIS data holdings using the GSAC-WS.